Kindness does a world of good. I know what I’ve lost in the past two years, but more importantly, I know how incredibly lucky I am. I still have a lot, and there are still plenty of people who care about me and treat me kindly. For that I’m grateful. Thank you. Two days ago was a prime example. My phone buzzed to get my attention. It was Tina, “G”‘s mother. I looked at the text message quickly. It said something about a sweet surprise. I sent a rushed reply back and returned to my work. 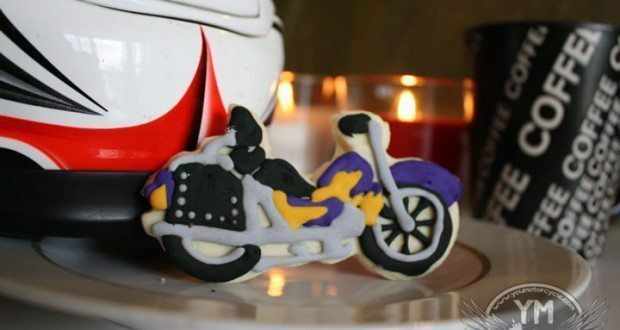 The next day I found a motorcycle-shaped cookie waiting for me. 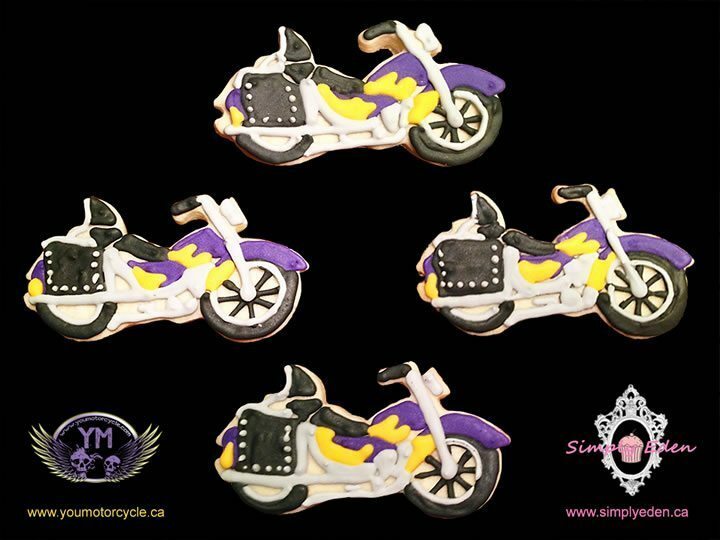 The cookie was made by a local home-based bakery called Simply Eden, based in Burlington, Ontario. I had previously stuffed my face with many Simply Eden cookies before, though they had been of the Christmas variety. They’re delicious. What a kindness it is to go out of your way to pick up a sweet treat for someone! Not only did Tina see something and decide to go through the trouble of getting it for me, but she managed to get it to me without eating it herself. I don’t know what the best way to repay a kindness is, but I do know that when it comes to food and snacks, Tina has me beat. I decided that rather than pay her back, I would pay it forward, and give Simply Eden a passing biker-wave salute on YouMotorcycle. Their cookies really are quite good. Tina doesn’t know I’m writing this, and neither does Simply Eden. Check out the site, SimplyEden.ca, support your local small businesses, and don’t forget to be kind, and be grateful. Thank you Tina, that was really good! 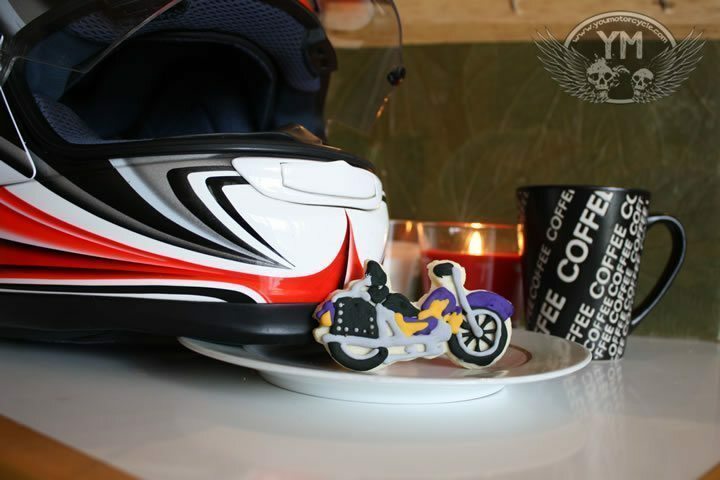 Be sure to follow us on Twitter for more yummy two-wheel shenanigans!